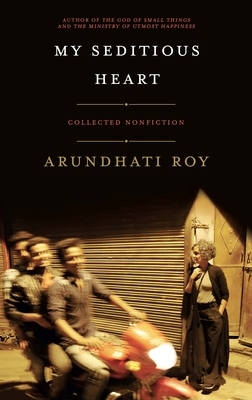 Bookended by her two award-winning novels, The God of Small Things (1997) and The Ministry of Utmost Happiness (2017), My Seditious Heart collects the work of a two-decade period when Arundhati Roy devoted herself to the political essay as a way of opening up space for justice, rights, and freedoms in an increasingly hostile world. Taken together, the essays speak in a voice of unique spirit, marked by compassion, clarity, and courage. Radical and superbly readable, they speak always in defense of the collective, of the individual and of the land, in the face of the destructive logic of financial, social, religious, military, and governmental elites. Arundhati Roy studied architecture in New Delhi where she now lives. She is the author of the novels The God of Small Things, for which she received the 1997 Booker Prize, and The Ministry of Utmost Happiness. She has written several nonfiction books, including Field Notes on Democracy: Listening to Grasshoppers, Capitalism: A Ghost Story, Walking with the Comrades, Things That Can and Cannot Be Said (with John Cusack), and The End of Imagination. She is the recipient of the 2002 Lannan Cultural Freedom Prize. Arundhati Roy studied architecture in New Delhi, where she now lives. She is the author of the novels The God of Small Things, for which she received the 1997 Booker Prize, and The Ministry of Utmost Happiness. She has written several nonfiction books, including Field Notes on Democracy: Listening to Grasshoppers, Capitalism: A Ghost Story, Walking with the Comrades, Things That Can and Cannot Be Said (with John Cusack), and The End of Imagination. She is the recipient of the 2002 Lannan Cultural Freedom Prize.